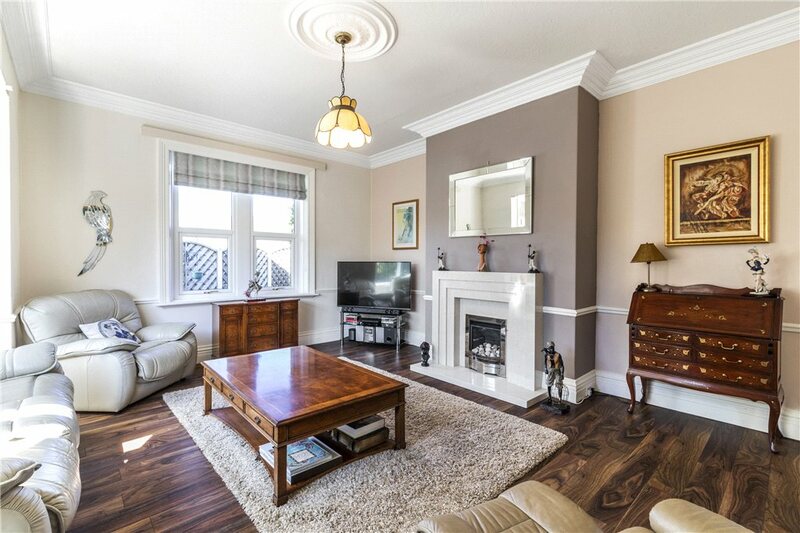 An elegant and spacious semi detached family home enjoying an incredibly convenient setting within this highly regarded area of town -yet only a few hundred yards walk from central amenities and the railway station. 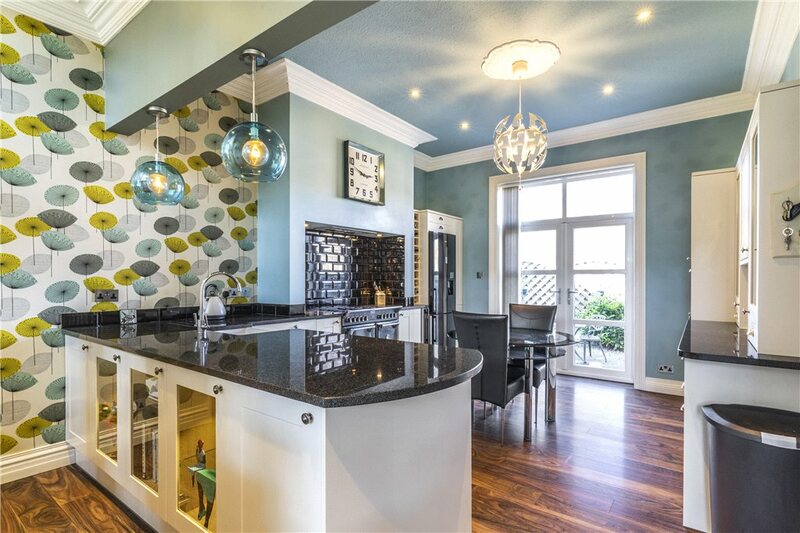 Retaining much of the property's intrinsic character, blended with the specification and style of modern day living. Good sized garden and garaging. 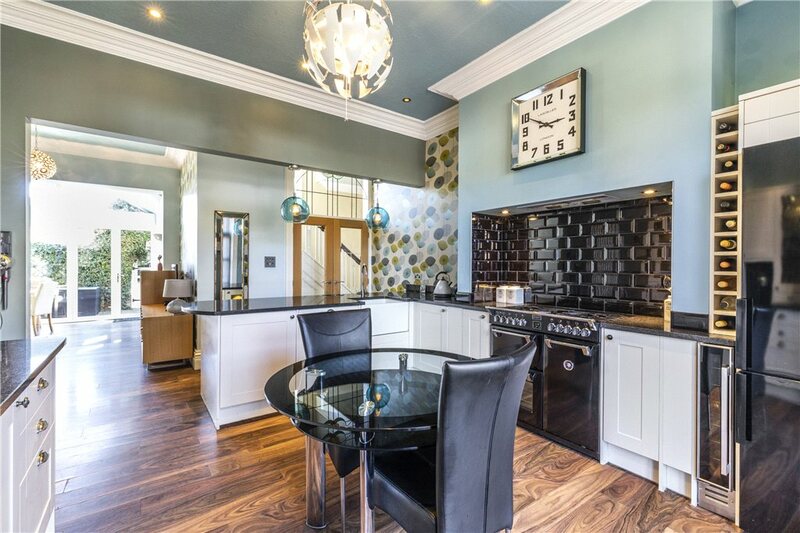 Elegant and spacious reception hall; cloakroom; dual aspect living room; garden room with French doors to the rear; spacious family room – again with French doors – and open plan to the impressive dining kitchen. 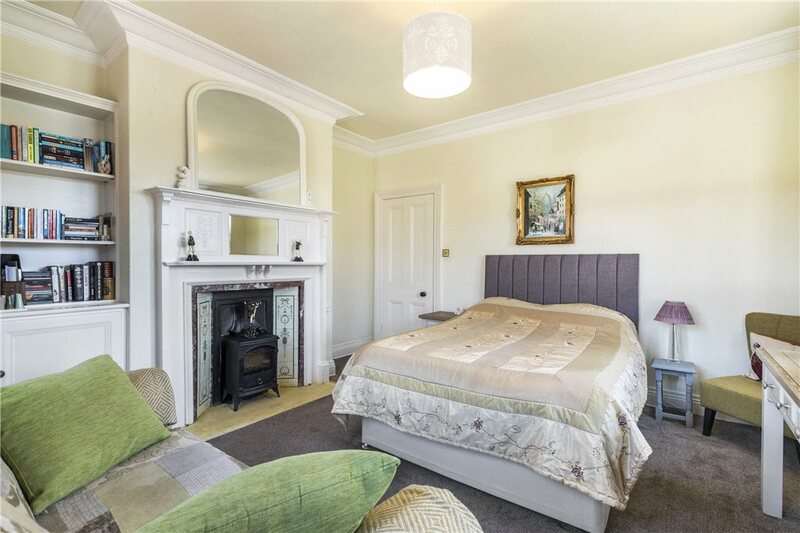 First floor – three double bedrooms; shower room, wc and stylish house bathroom. 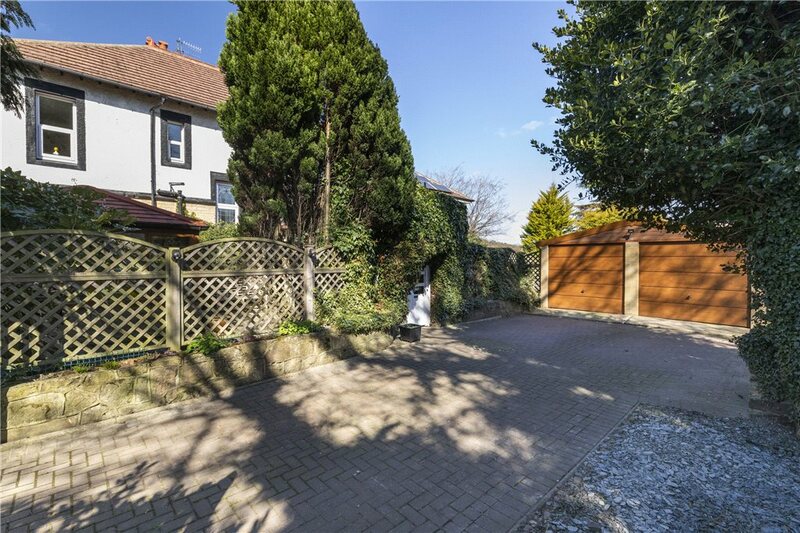 Outside – gated driveway providing good parking and access to a double garage. 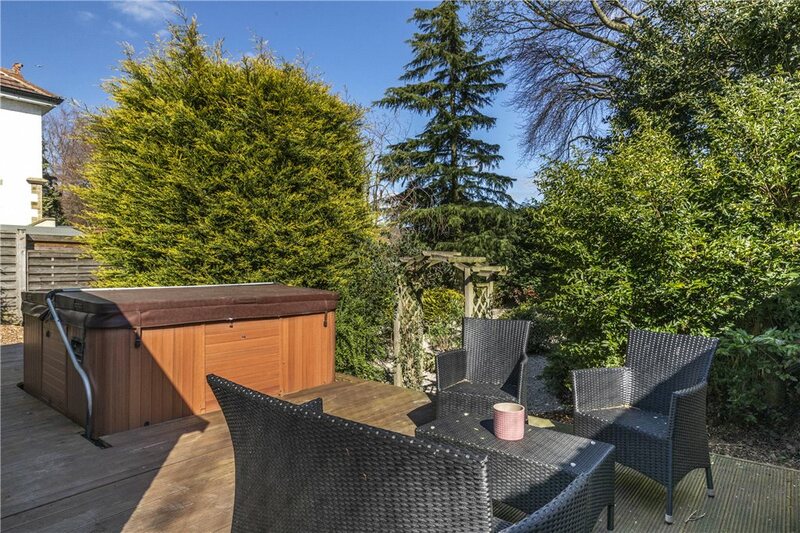 Thoughtfully landscaped gardens, designed for minimal maintenance and orientated to the south. 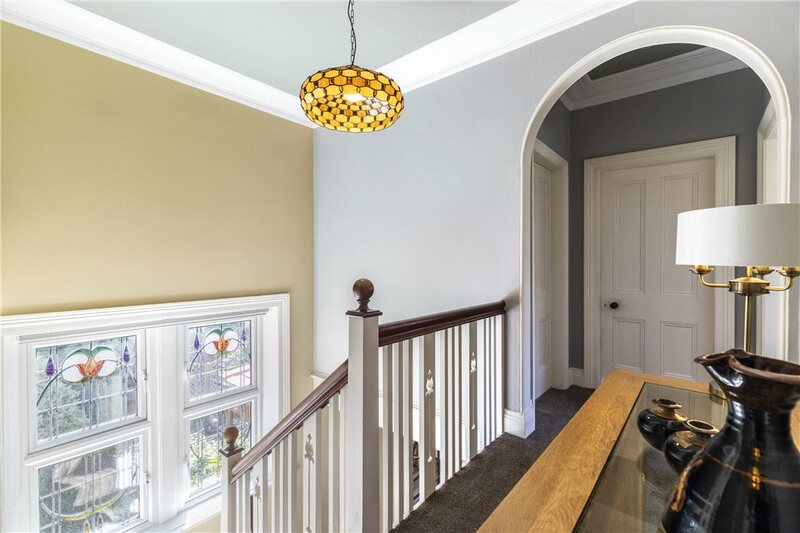 Proudly standing on the corner of Middleton Avenue and Denton Road, Dalehurst is an elegant Edwardian family home retaining much of its intrinsic character whilst blending with the requirements and styles of modern day living. Entered through a spacious reception hall the property provides three principal reception rooms – the main living room having dual aspects, whilst a garden room has windows to three sides as well as broad French doors opening onto the principal garden. 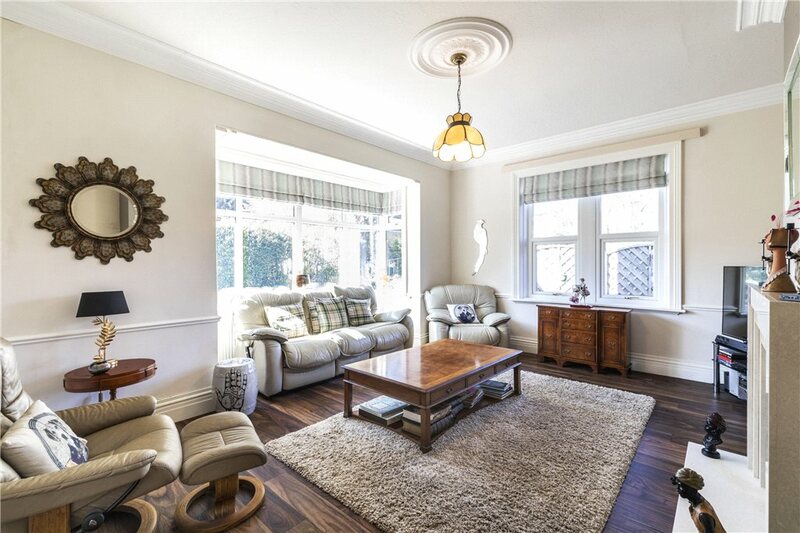 The family room has been extended in the past, and to one side has a further set of French doors to the exterior, whilst to the other the room is open plan to a beautifully presented dining kitchen fitted with a comprehensive range of eye level and base storage cupboards. 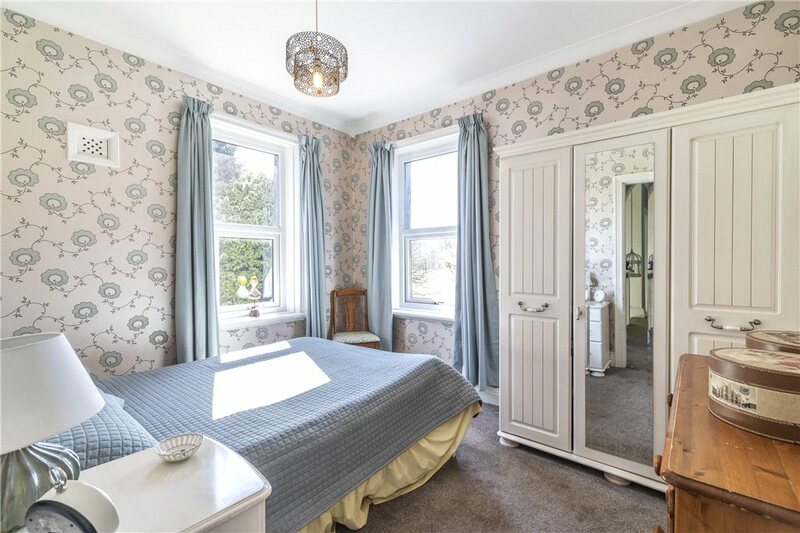 To the first floor there are three double bedrooms – the majority having dual aspects with the third having useful storage facilities supplementing a further large storage cupboard off the principal landing. A stylish house bathroom is complimented by a separate shower room and independent cloakroom. Externally Dalehurst has the advantage of surprisingly good sized grounds – entered through a gated driveway with double garage beyond. Immediately adjacent to the house are expansive terraces providing lovely south facing seating areas, and beyond is a low maintenance garden providing a discreet and sheltered amenity/play area. 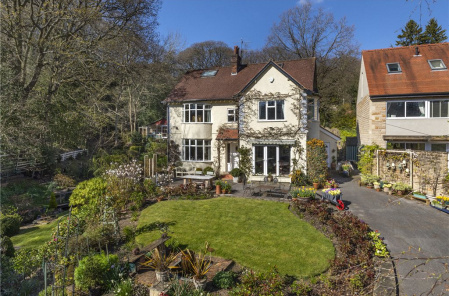 The sale of Dalehurst offers an excellent opportunity to acquire an incredibly conveniently positioned home with ready access to central as well as sporting amenities, whilst enjoying the wonderful living environment of Middleton. The Middleton area of Ilkley has long been regarded as the town’s prime residential area – its recent history dating back to the release of lands for residential development at the turn of the 19th Century. 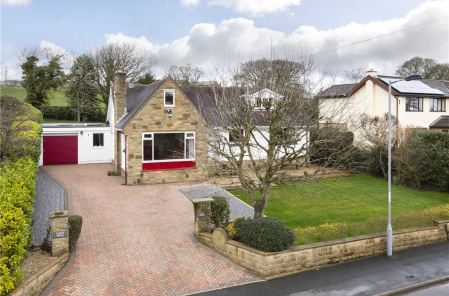 This charming neighbourhood is now made up by a wide variety of imposing properties and offers a delightful living environment within comfortable walking distance of Ilkley’s town centre, including the railway station, which is just a mile or so distant. 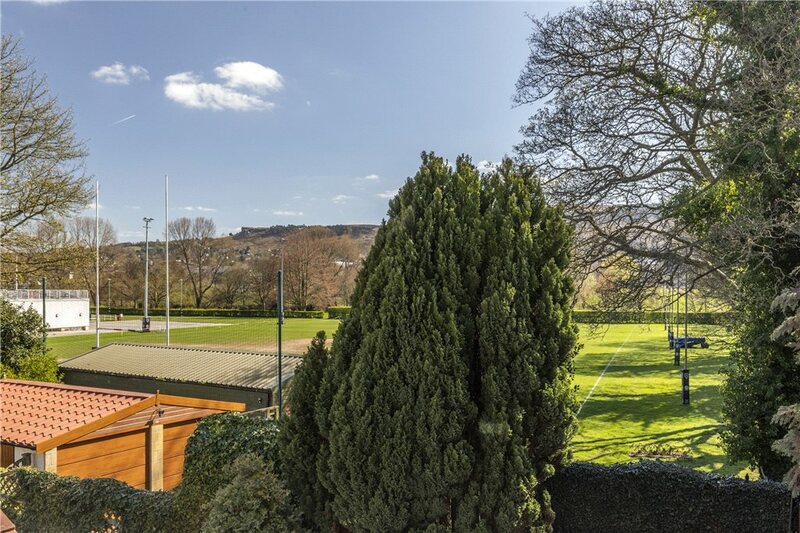 Middleton is home to the town’s cricket and rugby clubs, whilst a stroll over the old river bridge leads to Ilkley Lawn Tennis Club and a couple of public houses. 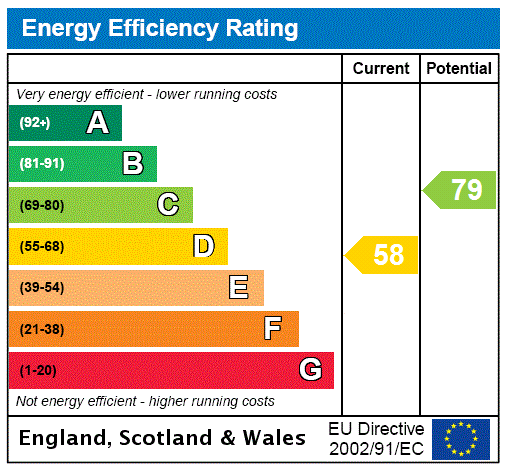 The town is well known for its first class shopping and excellent provision of restaurants, cafes and tea rooms. In addition there is a very well regarded schooling system although there are a good number of private schools catering for children of all ages within comfortable daily travelling distance. From our office in the centre of Ilkley proceed down Brook Street, and through the main traffic lights crossing over the main river bridge onto Middleton Avenue. Dalehurst is the first house to the right hand side, immediately before the turning right towards Askwith and Otley. 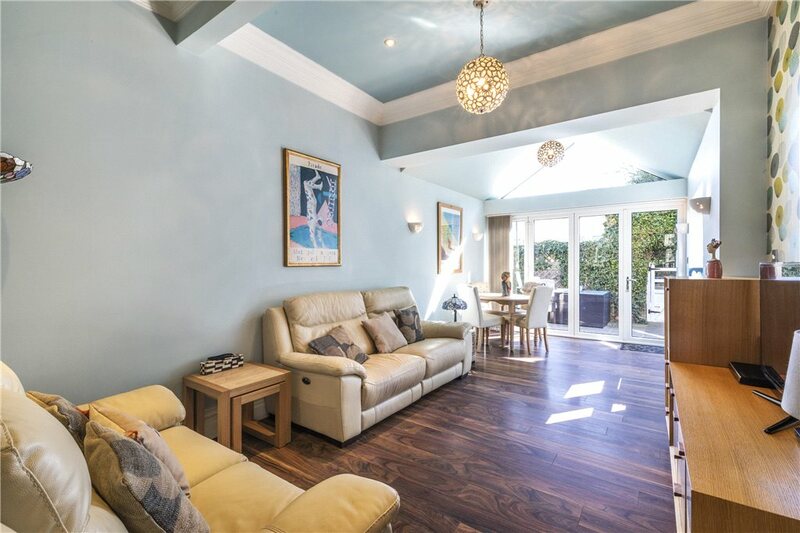 ACCOMMODATION SUMMARY Elegant and spacious reception hall; cloakroom; dual aspect living room; garden room with French doors to the rear; spacious family room – again with French doors – and open plan to the impressive dining kitchen. First floor – three double bedrooms; shower room, wc and stylish house bathroom. Outside – gated driveway providing good parking and access to a double garage. Thoughtfully landscaped gardens, designed for minimal maintenance and orientated to the south. 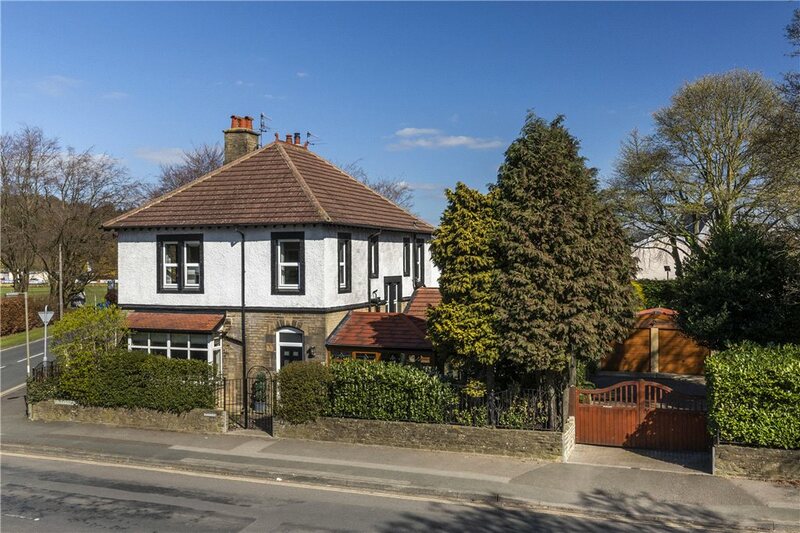 GENERAL REMARKS Proudly standing on the corner of Middleton Avenue and Denton Road, Dalehurst is an elegant Edwardian family home retaining much of its intrinsic character whilst blending with the requirements and styles of modern day living. Entered through a spacious reception hall the property provides three principal reception rooms – the main living room having dual aspects, whilst a garden room has windows to three sides as well as broad French doors opening onto the principal garden. 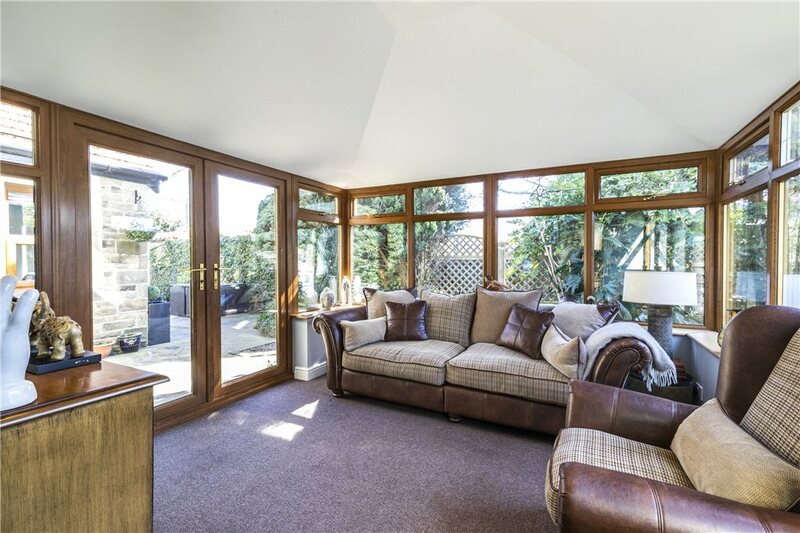 The family room has been extended in the past, and to one side has a further set of French doors to the exterior, whilst to the other the room is open plan to a beautifully presented dining kitchen fitted with a comprehensive range of eye level and base storage cupboards. 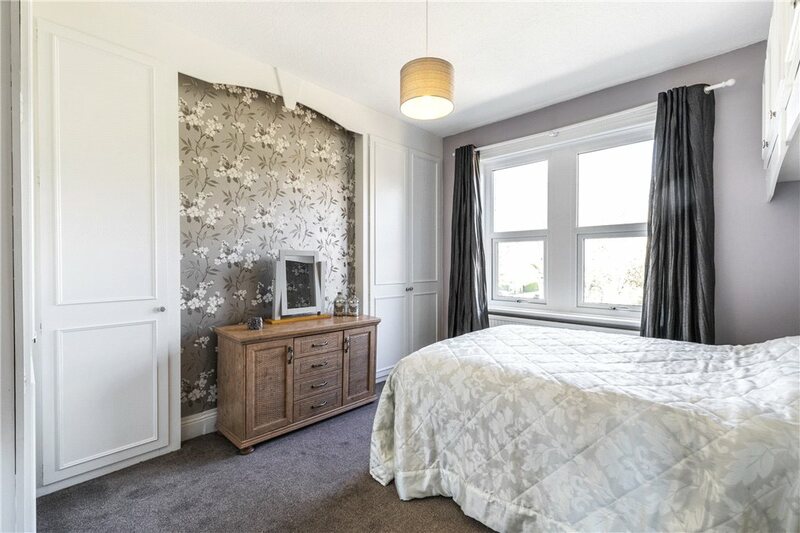 To the first floor there are three double bedrooms – the majority having dual aspects with the third having useful storage facilities supplementing a further large storage cupboard off the principal landing. 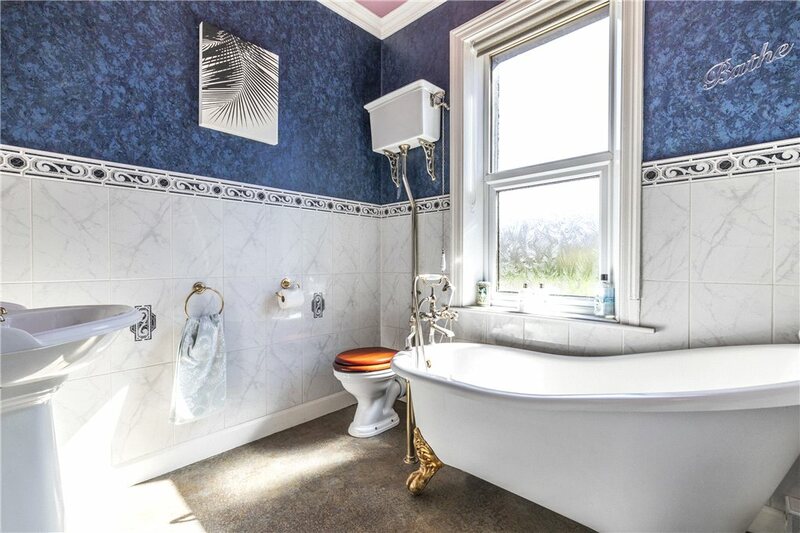 A stylish house bathroom is complimented by a separate shower room and independent cloakroom. Externally Dalehurst has the advantage of surprisingly good sized grounds – entered through a gated driveway with double garage beyond. 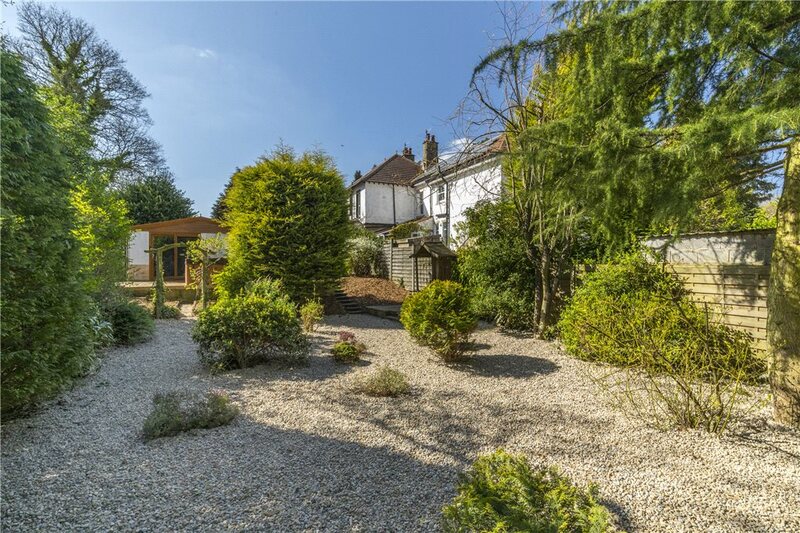 Immediately adjacent to the house are expansive terraces providing lovely south facing seating areas, and beyond is a low maintenance garden providing a discreet and sheltered amenity/play area. 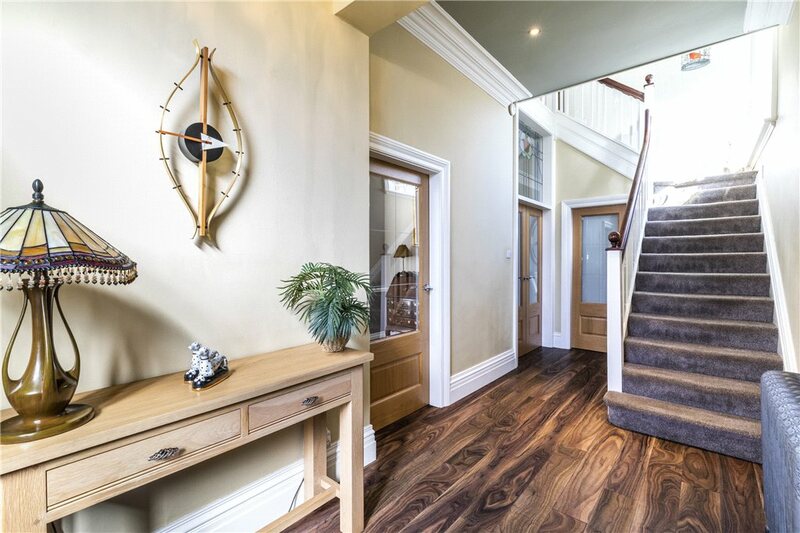 The sale of Dalehurst offers an excellent opportunity to acquire an incredibly conveniently positioned home with ready access to central as well as sporting amenities, whilst enjoying the wonderful living environment of Middleton. The Middleton area of Ilkley has long been regarded as the town’s prime residential area – its recent history dating back to the release of lands for residential development at the turn of the 19th Century. 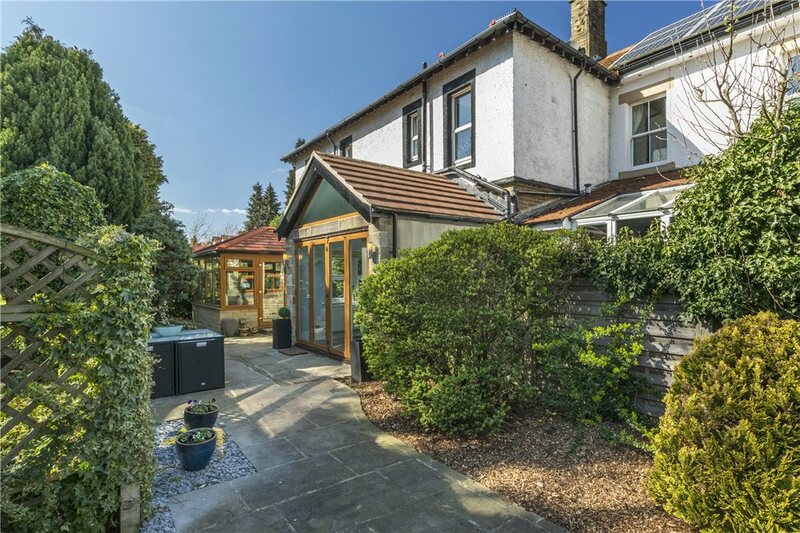 This charming neighbourhood is now made up by a wide variety of imposing properties and offers a delightful living environment within comfortable walking distance of Ilkley’s town centre, including the railway station, which is just a mile or so distant. 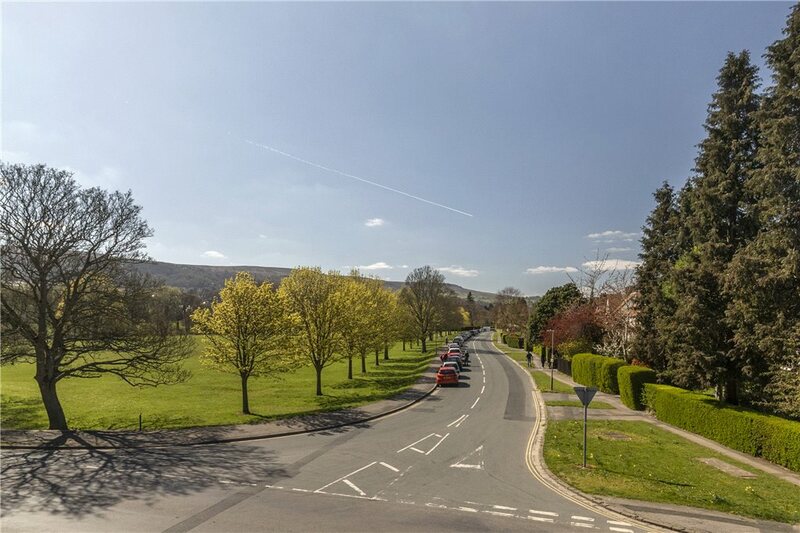 Middleton is home to the town’s cricket and rugby clubs, whilst a stroll over the old river bridge leads to Ilkley Lawn Tennis Club and a couple of public houses. The town is well known for its first class shopping and excellent provision of restaurants, cafes and tea rooms. In addition there is a very well regarded schooling system although there are a good number of private schools catering for children of all ages within comfortable daily travelling distance. Ilkley Branch Manager Paul Wilson on living in Ilkley. 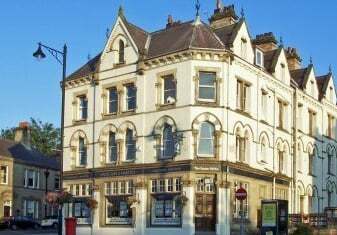 Situated on the banks of the River Wharfe, with Ilkley Moor and Middleton Moor providing dramatic backdrops and bracing Sunday walks, Ilkley is undoubtedly one of the most attractive, former spa towns in the whole of Yorkshire if not the UK. Built on the fortunes of the Victorian mill industries, that style of architecture dominates – from fabulous Victorian villas to exceptionally maintained Victorian shopping arcades. Despite its semi-rural location, Ilkley is also eminently commutable with excellent regular direct train services to the commercial centers of Leeds and Bradford as well as many of the outlying villages such as Ben Ryhdding, Burley in Wharfedale and Menston. Leeds is 15 miles away and can be reached via car on the A660 in around 45 minutes, Bradford in around 30 minutes and Skipton – the gateway to the Yorkshire Dales in under 20 minutes. Ilkley boasts a wide range of sporting clubs, including Ilkley Tennis and Squash Club – home to the Ilkley International Tennis Festival, two golf courses, rugby club, and a swimming pool with one of the country's last remaining art deco, open-air lidos. It also hosts a round of superb cultural events, including the UK's leading literature festival in the north of England. Ilkley offers high-performing schools both state and independent. At primary level Ashlands Primary School is rated as outstanding by Ofsted as is All Saints CofE primary school on Easby Drive. State academy Ilkley Grammar and St Mary’s Menston, a catholic voluntary academy, serve secondary level pupils. Private education provisions in the area include Westville House School – a co-educational school for 2 ½ - 11 year olds ranked 44th in the country by the Sunday Times, Moorfield a co-educational school for 2 ½ - 11 year olds which is rated Outstanding by Ofsted. 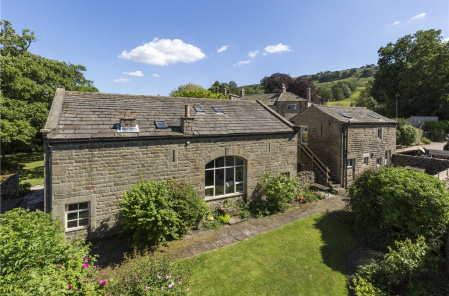 And Gyhll Royd an independent school for girls and boys aged 2 ½ - 11 years old in Burley in Wharfedale. 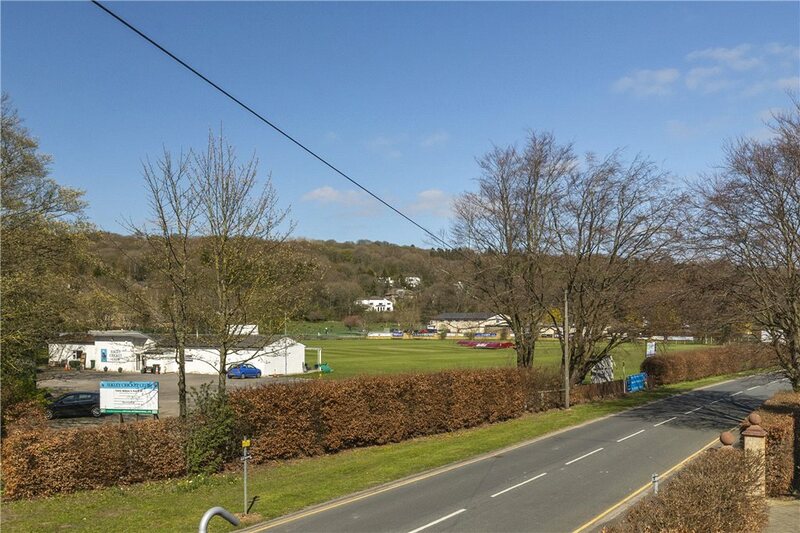 This is a fantastic sports and leisure facility in the centre of Ilkley offering superb outdoor grass tennis courts, indoor and outdoor hard courts as well as squash courts and a fully equipped gym. Members also benefit from a modern clubhouse-playing host to regular social events as well as a stylish café bar. Betty’s is a local institution which people flock from miles around to visit but Ilkley residents can take advantage of everything this famous tea room has to offer every week - whether it’s popping in for a quick pot of tea and Fat Rascal whilst out shopping or treating ourselves to a relaxed Sunday brunch ready for the week ahead! And you’ll never make a birthday cake ever again with the fabulous selection on offer from Betty’s! Part of Ilkley’s spa town heritage Ilkley Lido is one of the UK's last remaining outdoor pools. Enjoy a summer picnic in the tranquil setting and take in the fantastic views over Ilkley Moor whilst soaking up the nostalgic seaside atmosphere!